PARIS: French President Emmanuel Macron pledged to rebuild Notre-Dame cathedral on Monday after a blaze devastated large parts of the gothic gem on Monday. 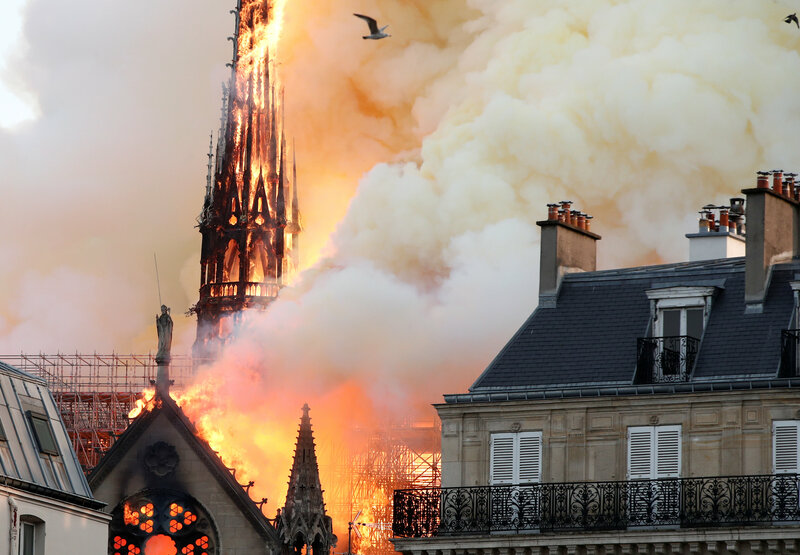 Smoke could be seen billowing out from the top of the medieval cathedral, as flames lept out besides its two bell towers, witnesses said, while black smoke was seen shooting from the base of the spire, which is undergoing renovation. French President Emmanuel Macron postponed a televised speech to the nation because of the blaze. French firefighters managed to bring the blaze under control in the early hours of Tuesday. #WATCH: Emmanuel Macron says he is sad to see "a part of us being on fire"
Fire spread rapidly through a major portion of the magnificent Gothic cathedral at the heart of Paris. The Paris mayor, Anne Hidalgo, said the fire service was currently "trying to control the flames." 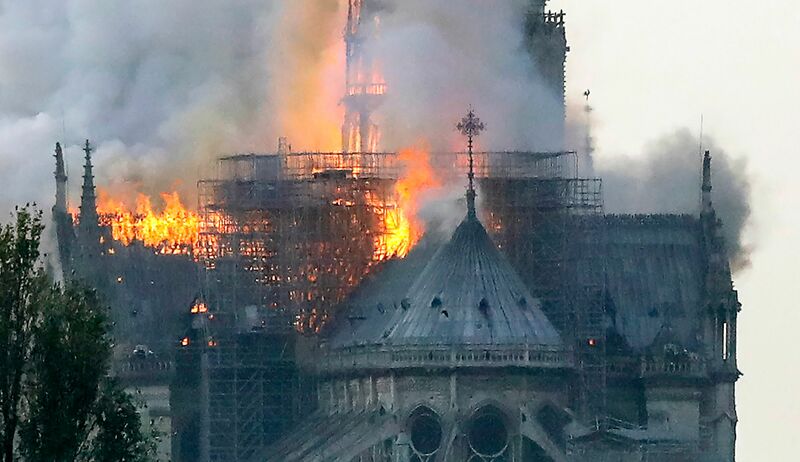 The soaring spire collapsed in flames, and a church spokesman says the entire wooden interior of the 12th century landmark is burning and likely to be destroyed. The massive fire engulfed the roof of the cathedral in the heart of the French capital as Parisians watched in horror. A major operation was under way, the Parisian fire department added, while a city hall spokesman said on Twitter that the area was being cleared. Police said investigations into the cause of the fire had been opened and was still ongoing, and that no deaths or injuries had been reported. US President Donald Trump called the blaze "horrible" and suggested the deployment of flying water tankers. "So horrible to watch the massive fire at Notre Dame Cathedral in Paris. Perhaps flying water tankers could be used to put it out. Must act quickly!" he tweeted.